There's also 19-year-old Michy Batshuayi. He's very skilled on the ball and athletically gifted, but the two coaches he's had this year have both publicly complained about his effort in training, the first one actually didn't even play him because of his lack of effort. The Belgian U21 head coach also sent him back to his club because he had invited call girls to his hotel room. So there's character concerns, but he's very talented if someone could sort him out. Here's his 16 goals in 21 league games so far this season. Very good finisher. He's also quite fast and strong and great touch and dribbling. I'd love to be able to get him in January and bring him on slowly as we still got Lukaku for the rest of the season. 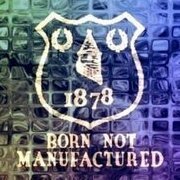 Wallonia and Flanders are Everton's best players I tell you! Belgians not Belgiums is the point he's making. This is the player thought to be who we'll replace Jelavic with, with a deal rumoured to be close to being completed. Where's that from? He sounds perfect. A few twitter whispers about Martinez wanting Hernandez in the summer too. Probably came from Twitter, all rumours seem to originate there! Sweet. Gotta love those sourceless hopegiving rumors. Neither of them are centre forwards? i never said they where I'm only thinking quality players for that amount tadic scores goals. And available at the right price plus another loan striker. @tparry7390: any interest in Michy Batshuayi? "He is undoubtedly a talent with a great goalscoring return, but he is just 20 and is under contract until 2018 with Standard Liege. "That means he is likely to command a large fee, which in turn means he may be one for the summer if Lukaku returns to Chelsea, but not for now. Is that the source for "Martinez has already denied wanting to sign Batshuayi to Greg O'Keeffe" btw? Because that seems more like speculation on his part than inside info imo. No I'm sure I read it in the liverpool echo. I'd be happy to have batshuayi. Have not seen much of him so cant really comment. Is he any good? He could be good Premier League material, but no world class imo. -he's supposedly available for €8m. -we're wanting to pay €6m of that and Belgian club Anderlecht will pay another €2m so we'll loan him out to them for the rest of the season. Belgian papers have been continually linking him with a move to England and then a loan to Anderlecht for about a month or even longer. Standard's owner has been adamant however that there is no longer a €8m release clause in his new contract and that they will not sell him in january. According to him, Standard don't want to sell him and he doesn't want to leave. But his agent is supposedly trying to earn some money. Anderlecht are trying to do the same with Thorgan Hazard. Zulte-Waregem's manager has recently said on a press conference that Hazard wants to stay, that there is no clause in their deal with Chelsea that could allow him to leave, that Chelsea have told him last week that they don't see the point in moving him to another Belgian club but that Anderlecht and his agent keep scheming and haven't even contacted him. He's really good. He's had some problems with immaturity in the past, but he was 18/19 so that's nothing to troubling, and he has been a consistent performer for the best part of a year now and the Belgian pundits are noticing it too. They had one of the best managers in the Belgian league, Hein Van Haezebrouck, on and he argued he's more talented than Lukaku or Benteke. And they all seem to agree he's got the total package, unlike them. He can use his body to hold people off, he's got the touch with both feet to play in congested spaces, he's got the pace to get in behind of the line and he's got the flair and ability to make things happen on his own (unlike Benteke and Lukaku). I'd be very happy to get him and let him settle in behind Lukaku this year, so he can learn the language, etc, without too much pressure to perform immediately (he's only 20). I disagree with Steve_E. I think the best way to describe Batshuayi is: He doesn't excel at anything. He's good at dribbling, shooting, passing, speed, physical strength, insight and position play, but he doesn't really excel at any of those. He will probably never be better than for instance Benteke, Sturridge or Dzeko in their primes. But he has it in him to become a titular for the striker position of a mid-table EPL team. That's good, but I don't really rate him much higher that that. Totally different, I'd say Batshuayi is more of a striker that uses his physique and does more runs than Jelavic. If you can compare his style to anything in the premier league (this is always dangerous) I'd say... Sturridge. 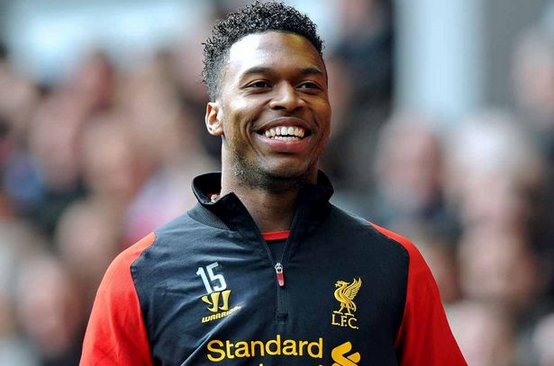 Although he's probably not as fast as Sturridge and he will need more development to come anywhere near Sturridge. edit: but if you're really asking in an abstract way if he's 'better' or 'worse' than a very irregular player as Jelavic, I'd say... similar. But that's always a gamble. He has less experience than Jela, but his performances are more consistent. A Jelavic on top of his game will probably outscore Batshuayi, but how often does it happen that he's in good form. I could be wwrong you know... You would have expected Benteke to become as prolific as he was fot Villa last season? I like the Sturridge comparison in terms of style. There's little point in argueing about whether he excels at something or is merely good at it, but in my opinion he's going to be very very good. I agree he doesn't exactly excel in either pace or power, but he has got both of it. Just look at how many times he's one on one with the goal keeper in the following clips. But the most important part for me is that his one touch passing with his back to goal, his link up play, with both feet is excellent and that he can run at people and beat them. He's really agile too. From time to time he'll jump into the air, reach for some long ball through the air with his leg up almost above his head and he'll get it under control, that's the kind of stuff that convinces me he's going to be very good. He can get involved in the attack. Plus he's an excellent finisher imo, he puts the ball into the goal where it fits, from all angles. He's also used to defending from the front as Standard are generally very agressive defending high up, very physical, in your face side. Here's his goals this season again. The first one is impressive as it was right at the end of the game, he went on a huge run, barely stayed on his feet a couple of times and put it in. The one at the 2 minute mark shows his combination of power, balance and technique, great finish while turning while shrugging of some dude on his back. The next goal is again just the good first touch with a defender right on him and then a fantastic shot from distance. 3:05 and 3:23 again showcases his coolness in the box. And at the 5 minute mark, that's just a brilliant bit of improvisation. And here's some more skills and goals from previous seasons. You should look at all of it as there's some pretty stuff, but definitely check the dribble on the goal line at 1:26 and 2:02. Look at 3:13 for effort, power and vision. And don't forget he's just 20. We're probably not gonna be able to afford the proven, finished article, definitely not at the very expensive centre forward position. We're probably not going to be able to afford Lukaku for example. So I know a lot of people, like myself, say we should just buy "the next one". Well, he is the next one coming out of Belgium. I would definitely take a punt at €8m. In any case, he's better than Carlos Bacca and 7 years younger ;p.
Should I copyright the term "Batshu' crazy"? In relation to the comment above. Given the chance would we sign Benteke, Sturridge or Dzeko? Yes on all 3 counts, so sounds like a decent shout if we could get him. That article doesn't take into account that Standard De Liège have said that in his newly signed contract (till '18) there is no longer a €8m release clause. It'd really surprise me tbh. But then again, it sounds like something Standard owner Roland Duchâtelet would do which would make him unpopular with his fans again. Maybe he's now just trying to cash in on Standard de Liège and pack his bags (he's had a lot of adversity there) and just focus on his new club Charlton Athletic. edit: Is this just my caucasian lack of seeing too much difference, or do they really look quite alike in these pics? They didn't publish that on their site today. They published that on the 27th of December. On the 8th of January they have also published this piece on their website, stating that they are asking FIFA to look into the activities of Batshuayi's agent Christophe Henrotay. -Batshuayi and his agent (at the time it was Jose Medina) signed a new contract til 2018 this summer that no longer includes a buy out clause, even though there was interest from Swansea and Anderlecht. 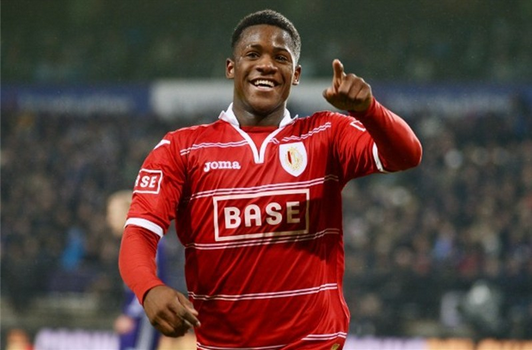 -Batshuayi's parents thought Jose Medina was too close with Standard's owner/chairman Roland Duchatelet and think their son isn't making enough money (apparently 600k before taxes). They want him to make a lucrative move abroad so they fire Medina and hire Henrotay, who supposedly has good relations with a number of PL clubs. -Henrotay interprets some clauses in the contract Batshuayi and Medina signed with Standard differently than Standard do. He's leaking the release clause rumours to the English press trying to advertise Batshuayi. Now Standard are sick of it and they've asked FIFA to step in. It seems very unlikely Standard will sell to be honest, especially with them contacting FIFA. They do not want to sell the league's top scorer when they're atop the league. Maybe something for the summer. That story appeared in Portuguese paper A Bola yesterday. But Belgian newspapers seem to suggest that Standard WILL NOT sell their topscorer midway through a season in which they might win the league. You can't blame them and its a reason why I think, should it happen, it'll be in the summer. If it's true that Standard are making him train alone because of the recent reports that his agent is hawking him around, you wonder how they'll resolve that. Will they bring him back into the fold for the good of the club, or look to get a replacement in and move him on during this window? That statement from the club earlier this week made it pretty clear that they're pissed off with the agent. He got injured in a friendly they played recently during their winter break so they gave him a session tailored to him. He's already training with the rest of the group again as he can be seen in these pictures of yesterday's training. Thanks, so the line in the Mirror article ("The 20-year-old Belgian has been training on his own this week after Everton's interest became public and Standard went to war with his agent for revealing his fixed fee") is not exactly telling the whole story. Why am I not surprised?! He's come out and said he's definitely staying with Standard for the rest of the season. Roland Duchatelet is apparently working hard to try and sell Batshuayi. Supposedly to keep him out of the hands of Anderlecht (how does that work). I think that's just a typo because it doesn't make any sense at all and contradicts anything Duchatelet has ever said. I think that's when we want him anyway. (In the summer that is). And this is why it makes sense to loan a striker right now: Meet the immediate goal and take time to get the permanent move right. Yup, I think Greg O'Keeffe said he'd likely be too expensive now and that he could be a target in the summer. Traoré on loan now would be a good deal too.